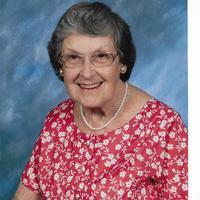 Catherine M. Robinson (nee Millikin), 89, of Lansdowne, PA died January 19, 2019 at Sunrise at Blue Bell. Born in Bethlehem, PA, she had lived in Lansdowne over 70 years. She and her family also enjoyed a summer home in Kentmore Park, MD. After being an Organist and Choir Director for 61 years, Catherine retired from being at Temple Lutheran Church in Havertown for 25 years. She had been at All Saints Episcopal Church in Wynnewood for 19 years, the Lansdowne Baptist Church, St. James of Kingsessing Episcopal Church (Philadelphia) and St. John the Evangelist Church in South Philadelphia. Catherine was the Sub Dean of the American Guild of Organists in Philadelphia from 1981 - 1983. She was Dean from 1983 - 1985 and attended the AGO Convention in San Francisco. She was Secretary in 1999 and Executive Secretary for the 2002 Convention. Catherine graduated from Moore College of Art and taught Art at Hillcrest Elementary School. She later taught art and gave piano lessons at her home for many years. She exhibited her paintings at the yearly Rittenhouse Square Art Show and the Fitler Square Community Show. She also had exhibits at the Twentieth Century Club and Kentmore Park in Maryland. She had studied under Domenic DeStefano and belonged to the Philadelphia Watercolor Society, the Delaware County Art League and the Pennsylvania Watercolor Society. She is survived by her beloved husband of 62 years, Robert J. Robinson, her devoted daughters Helen S. Robinson, Joyce L. (John Schmidt) Robinson, Arlene R. (Daniel) Robinson Miller and Lois R. (Timothy) Byrne. Also survived by 9 grandchildren and 3 great grandchildren. Funeral Service will be Friday at 10:30 AM at St. Paul Lutheran Church, 50 E. Plumstead Avenue, Lansdowne, PA 19050. In lieu of flowers, donations to the above named St. Paul Lutheran Church would be greatly appreciated.